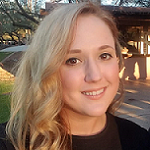 Michelle Burbick is the Associate Editor and a blogger for No Jitter, UBM Tech's online community for news and analysis of the enterprise convergence/unified communications industry, and the editorial arm of the Enterprise Connect event, for which she serves as the Program Coordinator. In this dual role, Michelle is responsible for curating content and managing the No Jitter website, as well as planning the Enterprise Connect conference program content. Michelle also moderates Enterprise Connect sessions and virtual webinars which cover a broad range of technology topics. In her tenure on the No Jitter and Enterprise Connect teams, she has managed the webinar program, coordinated and ran the Best of Enterprise Connect awards program, and taken on special projects related to advancing women in the technology industry and promoting diversity and inclusion. Michelle has also worked in the events and tradeshows industry, primarily as a journalist for the Trade Show Exhibitors Association. She earned her Bachelor's degree from the University of Illinois at Chicago. She is an animal lover and likes to spend her free time bird watching, hiking, and cycling.